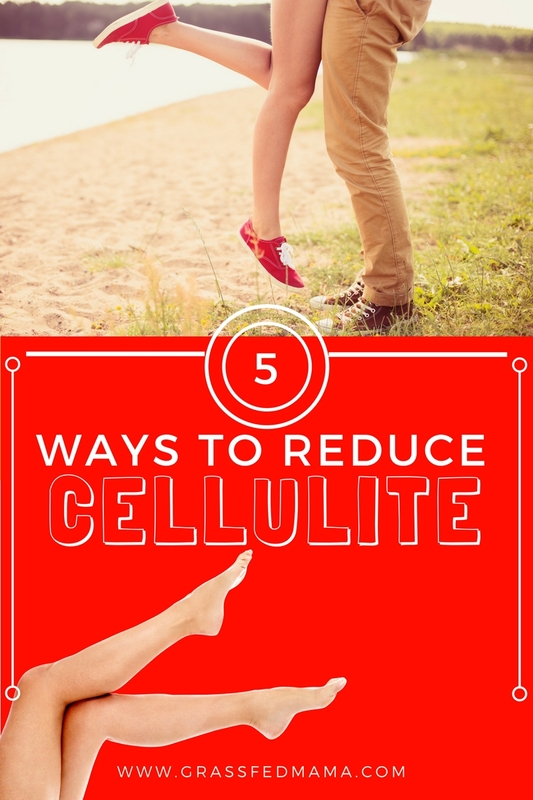 Have you ever thought… I wish that I could smooth out this cellulite? I hear from so many women (including myself) who would love a way to reduce the appearance of cellulite. It is something that affects almost every woman I know – from young and old – fit to overweight. Cellulite doesn’t discriminate. I wanted to do a little research to find some of the BEST tips to help us women look and feel our best. So to start, we need to find out what is it that causes cellulite? Knowing these factors that can lead to cellulite, how can we smooth out our skin after it develops? Knowing that slow metabolism, lack of physical activity and total body fat leads to cellulite, it makes sense that exercise can help reduce it. Strength training may be more beneficial because it can build more lean muscle mass. The more lean muscle you can build, the less fat will be pushing through the connective tissues of the skin. But what if you are already fit, but still struggle with cellulite? Our skin is a great indicator of how hydrated we are. Did you know that most people in the US are chronically dehydrated? One cause of cellulite is dehydration, so a simple step in reducing it would be to drink more water. Here are a few simple tips to help you get in the recommended amount of daily water. Increasing circulation is a way to help with cellulite. Exercising will help with circulation, but there are many ways to increase circulation to specific areas: Dry Brushing, Massage, and Foam Rolling are some ways I have personally used. I also use Defining Gel when I’m massaging to help reduce the appearance of cellulite. I am probably the palest friend you will ever have. I think that it is impossible for me to tan actually. So I’m not going to tell anyone to go sunning… but a few years ago, I was planning a trip to Florida and a friend recommended to me to get a spray tan before I left. I’m not saying it was perfect… but I have to admit that my legs did look awesome, haha! So a simple help would just to use some natural tanning lotions or spray to darken your skin. Because cellulite is caused by weak collagen layers, you can actually boost your natural collagen production and fight free radical damage with a wholefood supplement to help nourish your skin. Antioxidants are very important to your health in general and your skin is the largest organ in your body. You can increase the antioxidants in your diet by adding more leafy green vegetables and superfoods. I love knowing what causes cellulite and having a plan to get the results we are all looking for! How would you feel to have smoother legs this year? I’m Ready to Say Bye, Bye to Cellulite! P.S. If you are like I was and just ready to try a natural and easy treatment for cellulite, this is what has helped me and hundreds of my clients get the results they were looking for. Start a 90 day challenge to give you incredible results and save 40% off each of your orders.